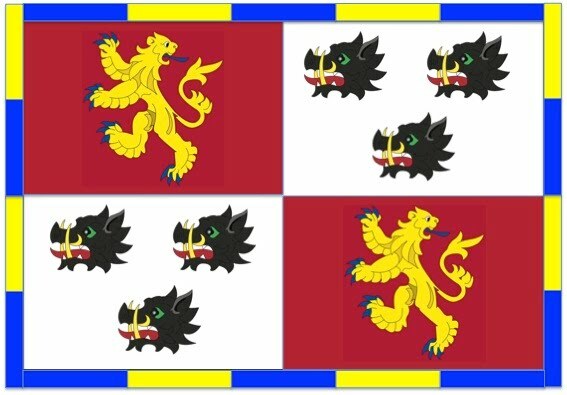 This is a bold, colourful and dramatic design, that incoporates Elystan's boars (also attributed to his son Cadwgan) and lion, with some Mortimer colours at the flag-staff end. It may be thought too detailed, but a standard local government design surely wouldn't do for a county so rich in old and new Welsh artistic and literary heritage as Radnorshire. 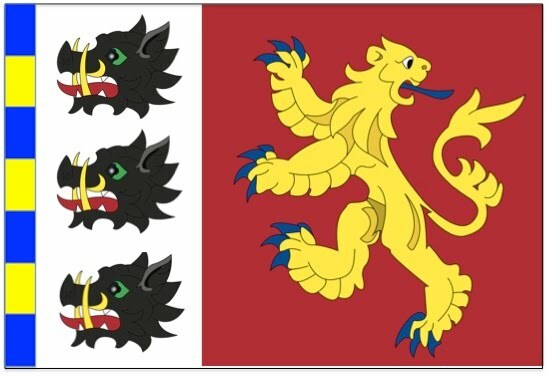 Our bet is that the people of Radnorshire won't be too fussed to have a county flag...but who knows.